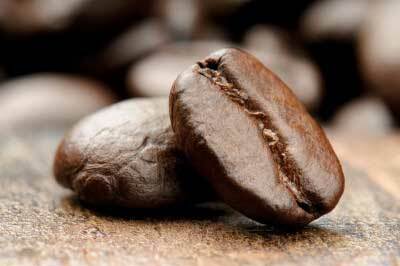 When you regularly take in caffeine, it can increase the rate of your metabolism by about 3 to 11 percent. What’s more, it can induce the body to burn fat, which of course is one of the primary metabolic functions, at a speed of 10 to 29 percent faster than normal. It’s rare for a substance that occurs naturally to have those kinds of effects on human metabolism. Weight loss supplements usually include caffeine due to those powers, and green coffee extract represents a particularly potent dietary aid. In addition, there’s a growing body of medical evidence to suggest that caffeine can serve as an appetite suppressant. Further, as we discussed in the first part of this guide, this compound often improves exercise performances, and lengthier workout periods obviously consume more calories. If you’re looking to lose weight, it’s best to drink your coffee black. An excess of cream and sugar will somewhat offset the fat-burning properties of caffeine. Strokes are interruptions in the flow of blood to the brain. They can cause lasting cognitive impairments, and in the U.S., they’re a leading cause of death. Even mild strokes can be terrifying, and it’s wise to take any measures that you can to prevent them. Drinking coffee is one such measure. Routine coffee intake seems to reduce the chances ― by as much as 20 percent ― that a person will suffer from disruptions in his or her heart rhythm, conditions that can induce strokes. In fact, a 2009 Nurses’ Health Study report indicated that coffee consumption can lower stroke odds even in people with high cholesterol and/or high blood pressure. Also, we explained in this guide’s previous installment that coffee can lessen the risk of type 2 diabetes, and that affliction is a prime cause of strokes.